Cairo had some very hard workers during the third marking period! 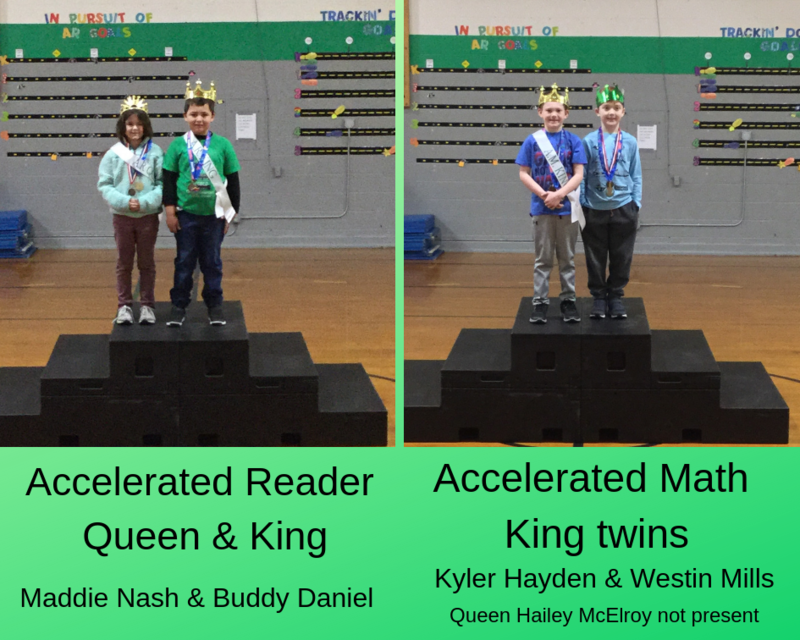 There was a tie for Primary Accelerated Math King with both Kyler Hayden and Westin Mills reaching 400% of their AM goal! The Queen, Hailey McElroy, was not present for a picture, but her achievement was just as impressive with 340% of her goal. 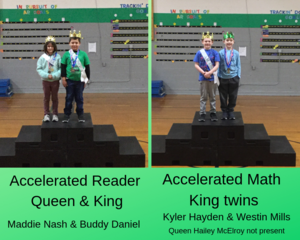 Primary Accelerated Reader King, Buddy Daniel, ended the marking period at 307% of his goal while Queen, Maddie Nash, was at 322% of hers.